2010 Final Four - CBS Sports Bracket & Vegas Odds: The Vegas odds makers are down to the 2010 Final Four and with only three days left until the 2010 CBS Sports bracket gets underway, lets take a look at the CBS sports bracket and who the 2010 Final Four odds favorites are to make the BIG GAME. According to the Vegas odds makers the 2010 Final Four bracket lists both the Butler Bulldogs and the Duke Blue Devils as Vegas odds favorites to win during Saturday's CBS Sports bracket matchups. The Butler Bulldogs are listed as the -1½-110 point 2010 Final Four bracket odds favorites versus Michigan State. The tip-off for this CBS Sports bracket matchup is set for 6:05PM on Saturday. The Vegas odds makers have also posted the 2010 Final Four bracket matchup game total, according to the Vegas odds makers the 2010 Final Four matchup game total is listed at 126 ov-110. The Duke Blue Devils are also listed as the CBS Sports bracket favorites versus the West Virginia Mountaineers. 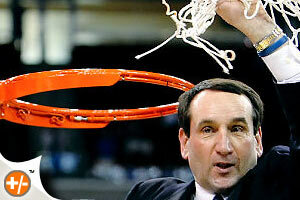 According to the 2010 Final Four Vegas odds makers Duke is a -2½-110 point 2010 Final Four odds favorite. The game total has also been posted for this CBS Sports bracket matchup. Based on the current Vegas odds the game total is listed at 131 ov-110. The Duke versus West Virginia 2010 Final Four odds matchup is set to tip-off on Saturday evening at 8:45PM.